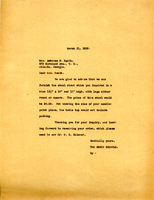 A letter stating that the stool Mrs. Heath inquired about could be made and that it would be $4.00 total. 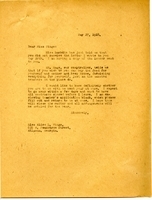 Martha Berry writes to Alice Wingo because she did not receive the previous letter Miss Berry had sent. Martha Berry hopes that by including the information about housing that Wingo requested, she will make a definite decision to come to the school.